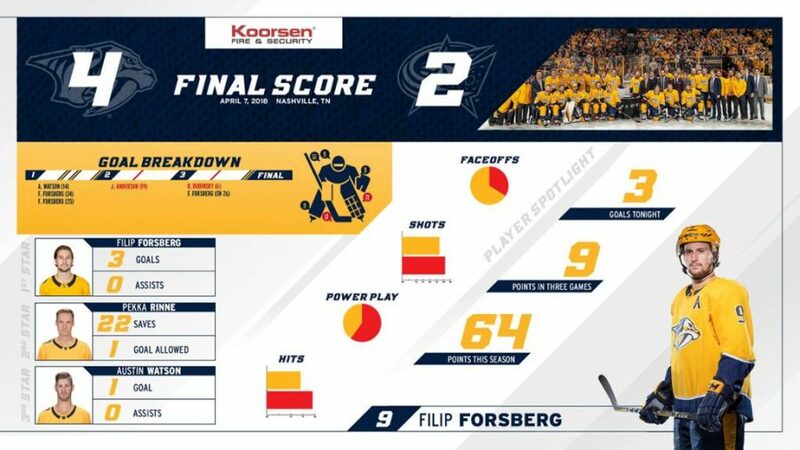 WINNIPEG, Manitoba (AP) — Filip Forsberg, Pekka Rinne and the Nashville Predators showed they aren’t ready for their season to end yet. 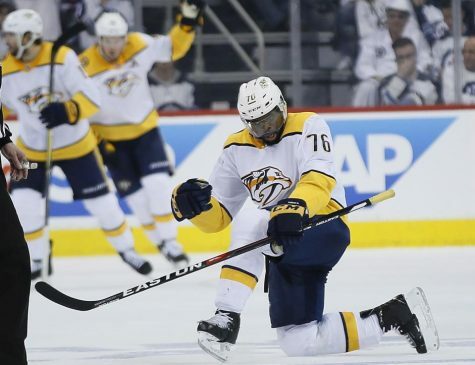 Forsberg had two goals and an assist, Rinne stopped 34 shots for his second shutout of the playoffs, and the Predators beat the Winnipeg Jets 4-0 on Monday to force a decisive Game 7 in their Western Conference semifinal series. After the Jets’ top line combined for eight points in a 6-2 victory in Game 5 in Nashville to take a 3-2 series lead, the Predators No. 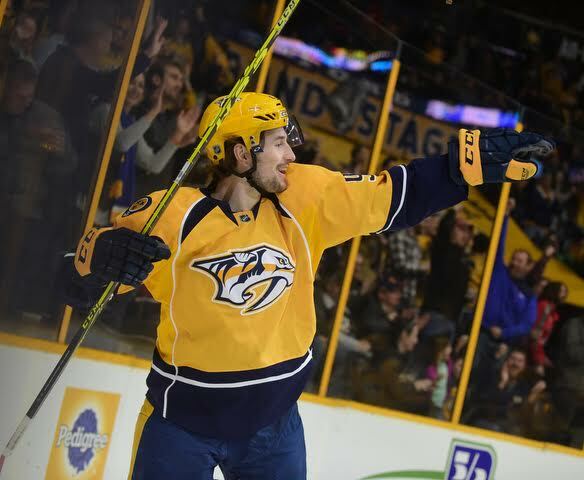 1 trio of Forsberg, Arvidsson and Johansen did the same when it mattered most. Game 7 in this series in which neither team has won consecutive games is Thursday at Nashville, Tennessee, with the winner advancing to face the expansion Vegas Golden Knights in the Western Conference final. Each team has also won twice on the road. The Jets finished 0 for 4 on the power play, including three chances in the first period. With the Predators up 1-0 after one period, Forsberg doubled the lead at 8:44 of the second on a great solo rush for his sixth of the postseason. After breaking his stick in the defensive zone blocking a shot, the Swedish forward raced to the bench to get a new one as the puck almost simultaneously arrived at his feet. Forsberg stayed onside, fought off Jets defenseman Ben Chairot and beat Hellebuyck short-side before crashing into the net. Winnipeg had made an earlier push coming out of the first intermission, with Paul Stastny’s shot just wide being the best chance after Mathieu Perreault’s dump in hit the linesman and caromed into the slot. Stastny also missed from a tight angle off the boards on the follow up on Rinne. After Forsberg made it 2-0, Rinne was there to stop Adam Lowry with his pad before just getting a piece of Mark Scheifele’s shot on an abbreviated 2-on-1 to keep Nashville up by two. The Jets got their fourth power play of the night early in the third, but Scheifele fired wide on the best opportunity. Forsberg then took a pass from behind the net, played it between his own legs and beat Hellebuyck for his second of the night and seventh of the playoffs at 5:55. With Hellebuyck pulled for an extra skater, Arvidsson scored into the empty net with 4:02 left to seal Nashville’s win. Nashville took the lead just 62 seconds into the first period to quiet the usual rowdy, white-clad crowd at Bell MTS Place on Arvidsson’s fourth. The speedy winger crashed into the end boards after being taken down by Jets defenseman Dustin Byfuglien. Arvidsson briefly complained to the referee before getting back in the slot just in time to make a defensive deflection of a blast from Josi that looked destined to hit him directly in his head as he dropped to the ice. Referee Wes McCauley initially waved off the goal that bounced past Hellebuyck for high-sticking, but it was determined after video review that Arvidsson’s stick was below the crossbar on the tip. The Predators and Jets finished with the two best records during the regular season — Nashville had 117 points to win its first Presidents’ Trophy, while Winnipeg was right behind with 114 points.